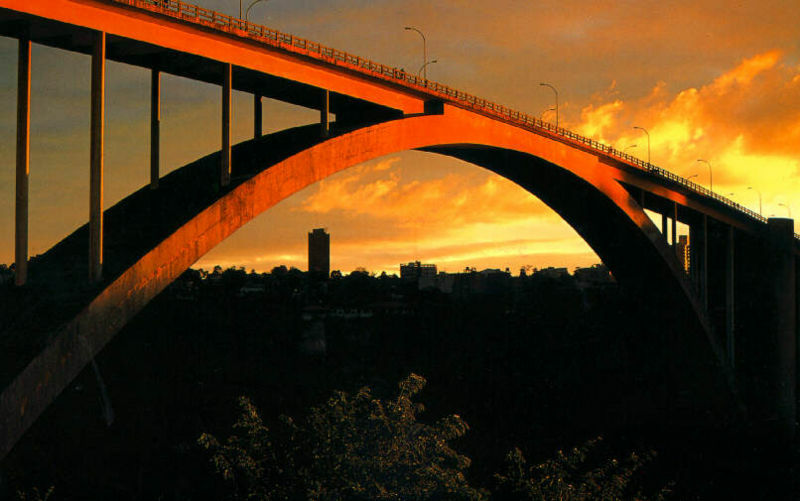 The bridge was opened to traffic in 1965. 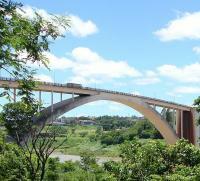 The space between the main arch is 290m (303yds in total). 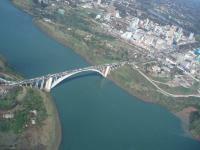 The bridge itself is 552.4m long. 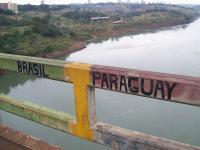 The bridge is extremely important to the economies of both Foz do Iguaçu and all of Paraguay. 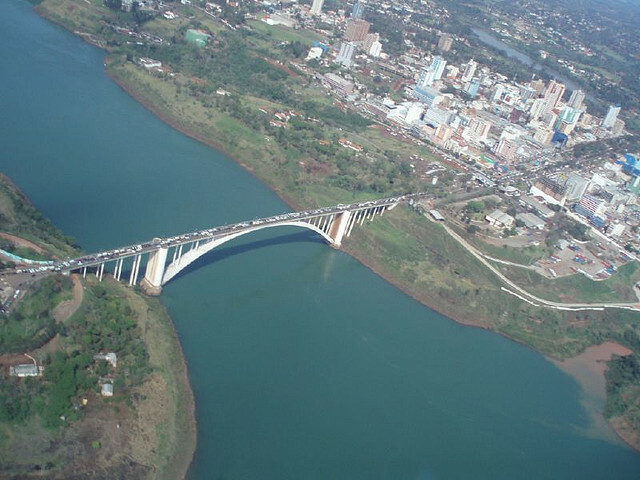 Most of Paraguay's imports and exports pass through the bridge, generating constant traffic problems throughout the area. 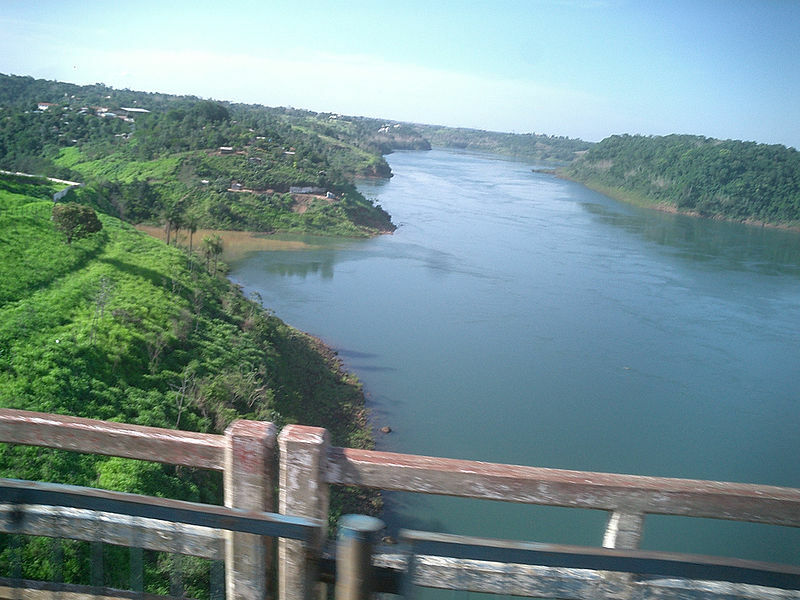 Brazilian smugglers usually come and go through this bridge, smuggling mostly electronic devices such as handheld computers, digital cameras and sometimes weapons, since in Paraguay they are allowed to sell weapons that are not permitted in Brazil. They usually transport themselves in private buses. 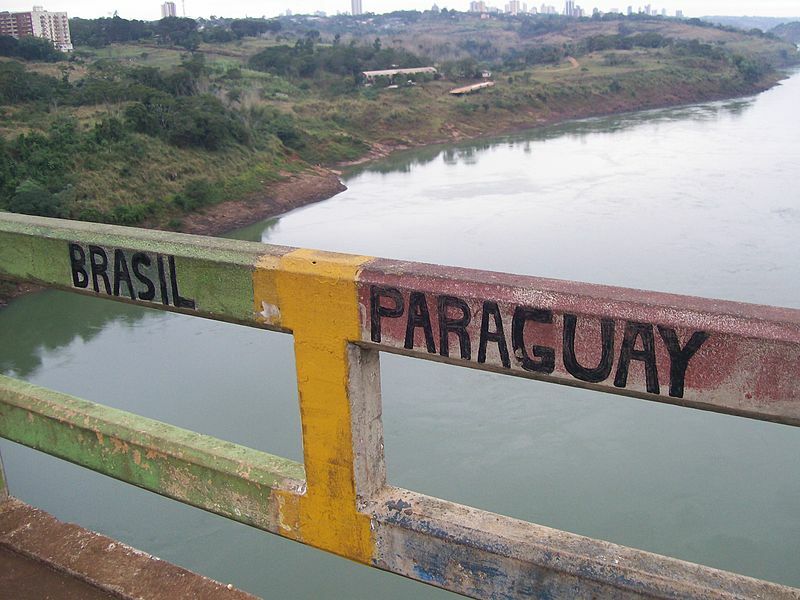 Although there is an import tax of 60% on the price of anything costing more than 300 dollars, coming from Paraguay into Brazil, smugglers often pay bribes to avoid paying any taxes. 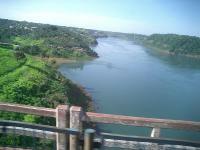 BR-277 begins immediately after the end of the bridge in the Brazilian side.